Anchor: Korea saw the hottest day in its recorded history on Wednesday, going beyond the 40 degree Celsius threshold previously once reached in 1942. As the mercury hit the record high, the prime minister stopped government's construction projects. Report: The Korea Meteorological Administration said that the afternoon high in Hongcheon in the central part of the peninsula soared to a record 41-point-zero degrees Celsius on Wednesday afternoon. The temperature is the highest ever to be recorded in the country since the introduction of a modern weather observation system in 1907. It marks the first time the mercury topped 40 degrees in the country since August first in 1942, when afternoon highs reached 40 degrees in Daegu, Gyeongsang Province. An unofficial temperature recorded by an Automatic Weather Station in the nearby Hoengseong County reached 41-point-three degrees. Afternoon highs in Seoul also surged to 39-point-six degrees Celsius on Wednesday, the highest ever to be recorded for the city since weather observation first began in 1907. As the entire nation suffers from the scorching heat, the prime minster instructed related agencies to stop construction works for government projects during day time to prevent heat-related illnesses. But the summer heat has been continuing through the night. Seoul saw its eleventh consecutive tropical night phenomenon, which refers to the temperature hovering above 25 degrees Celsius from six pm through nine am the next day. The southern port city of Busan had 15 days of tropical nights in a row through Wednesday morning. 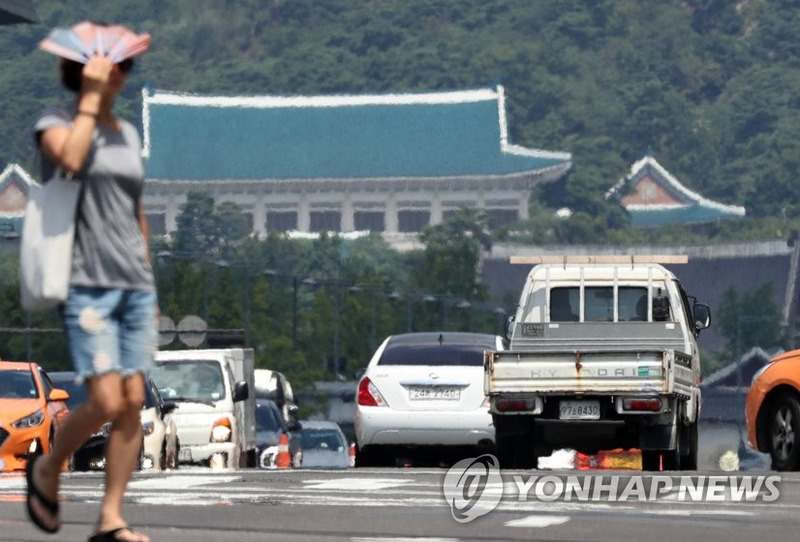 The weather agency said the heatwaves will continue to Thursday, with the daytime high for Seoul forecast at 39 degrees or above. Next :Sweltering Heat Set to Continue on Thurs.